Earlier today there was panic in Lagos, over a false Boko Haram abduction scare in certain schools. The parents of the school kids were reported to have dashed down to the rumoured schools to pick up their children. Below is a report culled from Vanguard stating that Lagos state police spokesperson has denied the kidnap rumour. “DSP Ngozi Braide, the Public Relations Officer of Lagos State Police Command, has said that the rumour about activities of Boko Haram members in some parts of the state on Friday was false”. Braide said this while briefing the press on Friday at Premier College Group of Schools, Palm Avenue, Mushin, where the sect members purportedly invaded. “It is not true that there is any act of terrorism anywhere in Lagos State. It is a lie that the terrorists invaded Premier College to abduct students. “Somebody just sat down somewhere and cooked up the lies to cause panic in the state. “Premier College and other schools in the state are safe and secure; let the public discountenance the rumour,“ the PPRO said. In his response, Mr Abraham Martins, the Executive Director of the college, expressed regret about the rumour, describing it as ‘false and baseless’. “The rumour is false and peddled by unscrupulous elements in the society who are just trying to destroy the image of the school. “The rumour started yesterday evening when someone mentioned it here that a parent came requesting information that some students were taken from Premier by Boko-Haram. “I did not actually take it serious until this morning when parents started coming in and panicking asking questions and wanting to see their students. 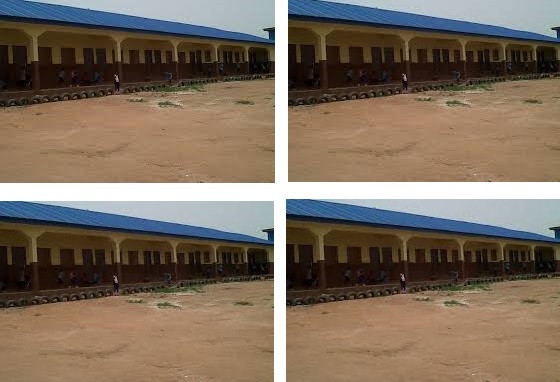 “ We did the roll call and all our students were in school, the police confirmed that it was a mere rumour,“ Martins said. This entry was posted in Politics and tagged Police deny rumour of Boko Haram kidnap in Lagos.